Disposer Care has been scientifically designed and tested to clean and deodorize the inside of your food waste disposer with one weekly treatment. 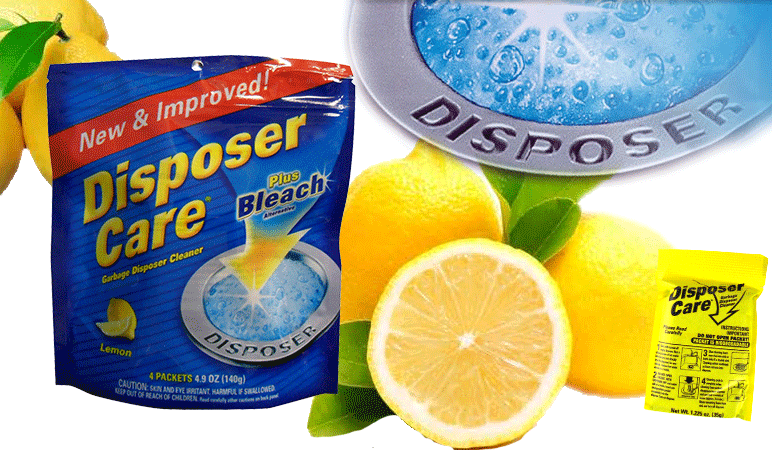 Simply drop a packet in your disposer, turn it on, and in 3-4 minutes, the powerful foaming action scrubs away food, grease and odors, leaving a pleasant, lemon fresh scent. Ready for a Deep Cleaned Drain?